The costs of a legal defense today can be devastating, even if you are found innocent. Without proper coverage, a jury award could be the end of your business. 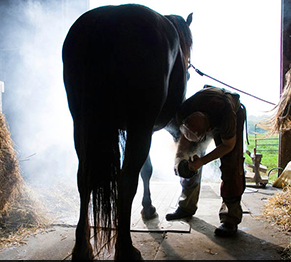 The Farrier’s Insurance Program covers you on or off your premises for a broad range of possibilities, which could result in a lawsuit against you or a judgment that finds you liable for damages. What kind of protection does the farrier insurance program provide? If a person (other than an employee) is injured on your premises or as a result of your business activities, you are covered. If property is damaged because of your negligence you are also covered. You are protected for claims against products you sell or work you have performed. If a horse is injured or dies while in your care, custody, and control, you are covered up to certain limits spelled out in the policy. In addition, your equipment and supplies are covered against loss or damage! On and off premises: protection against claims made and legal judgments rendered against you and your business due to bodily injury or property damage caused by your farrier activities, regardless of where the claim occurred (claims by employees are not covered). Completed operations: coverage for claims and legal judgments due to bodily injury or property damage caused by work you have performed. For example a shoe comes off two or three days after it is put on, resulting in injuries to the horse and rider. Care, custody and control liability: standard limits of $5,000, $10,000 or $25,000 (*higher limits available upon request.) This important benefit picks up coverage for injury to any non-owned horse as a result of your negligence as farrier while the horse is in your care, custody, and control. Equipment and supplies floater: standard limits of $1,000, $2,500 or $5,000 with a $500 deductible per claim. 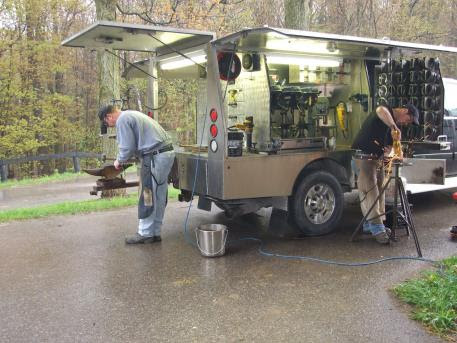 This coverage provides protection for loss or damage to your transportable inventory of horseshoes, tools, and supplies that are used in connection with your farrier practice. Theft is covered but please refer to the policy for specific details on other perils covered. American Association of Professional Farriers members are eligible for a 10% association credit. If you are an AAPF accredited farrier (AF or APF designations) you may receive an additional discount.